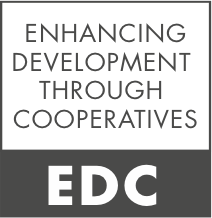 The EDC initiative offers support to international organizations, governments, donors, NGOs, farmer unions, investors and service providers in promoting the development of commercially viable, socially inclusive and environmentally sustainable cooperative agribusiness. The EDC initiative aims to produce both academic and policy publications on issues related to international rural cooperation. It also aims to build a library of relevant publications by other researchers under different initiatives.